How many hours do you spend at the post office each month? Just think how nice would it be to cut out that time all together and create your own postage right from your office. Enter Pitney Bowes. Not only does this industry leader bring us shipping and mailing products, but the company also offers corresponding software systems to make running a business easier. 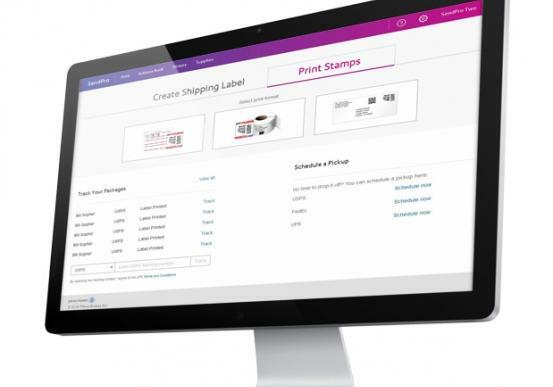 Simplify your shipping and mailing processes with the Pitney Bowes SendPro® software system. We’ll show you how you can reign in time and money spent on shipping and mailing each month. While those savings might not seem significant right now, they can and will add up, especially as postage rates rise. Typically, users save at least 10% on USPS Priority Mail shipments and 18% on UPS Next Day Air shipments, among several other discounts. SendPro allows for greater flexibility in shipping options, letting you choose from USPS, UPS, and FedEx. You’ll be able to print your own adhesive stamps as well as postage and shipping labels for these three carriers. And, because shipping should be as painless as possible, you can also compare carrier pricing and track your items directly from the SendPro interface. Never again will you have to worry about how long the post office line will take. Instead, weigh and label your parcels from the comfort of your home or office, and watch your productivity skyrocket. The workflow solutions experts at Pacific Office Automation are dedicated to making your office run more smoothly. If you find that you’re spending too much time at the post office, consider the Pitney Bowes SendPro or one of several other shipping and mailing solutions. We’ll help you find the right system for your business needs. Contact us today for personalized solutions.